There is nothing worse than an ugly weed wrecking the look of your otherwise beautiful garden. 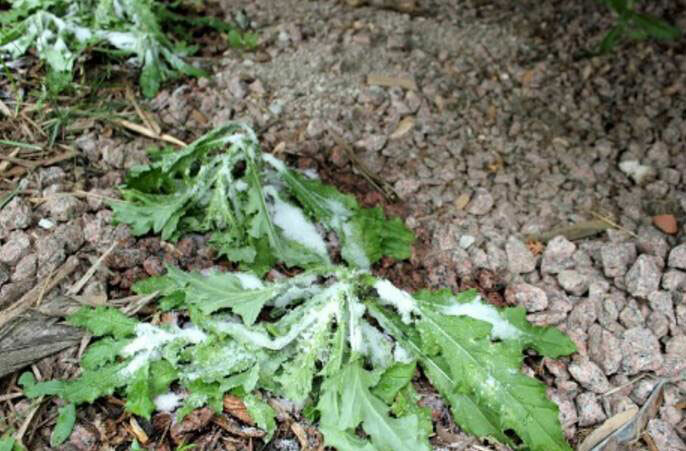 There are a ton of different weed killing products on the market but there are also many unknown cheap and natural ways to rid your garden and/or pathways of weeds. Today, we are going to make it easy for you to find out what they all are. All you need to do is spend a few minutes of your time reading the below list and you will be on your way. Get set, let’s do this! 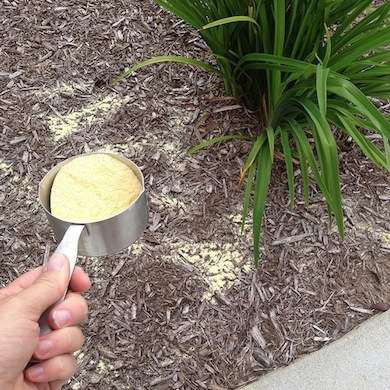 Spread some Cornmeal, or Polenta as it is also known, onto your garden bed to top weed seeds from germinating and spreading. Given that Cornmeal will stop any type of seed from germinating it is important not to use this method on a newly established vegetable garden until such a time as all of your plants have established themselves. “LyriopeSpicata wb” by Elf at the English language Wikipedia. Licensed under CC BY-SA 3.0 via Commons. It is so simple but it can work a treat. 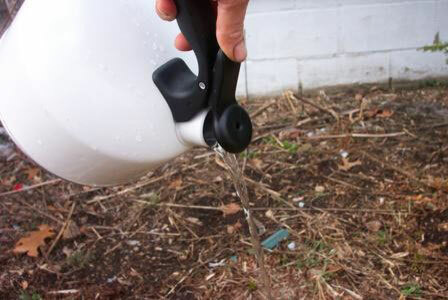 Boil some tap water in a kettle and once ready pour it directly on the crown of your weeds. 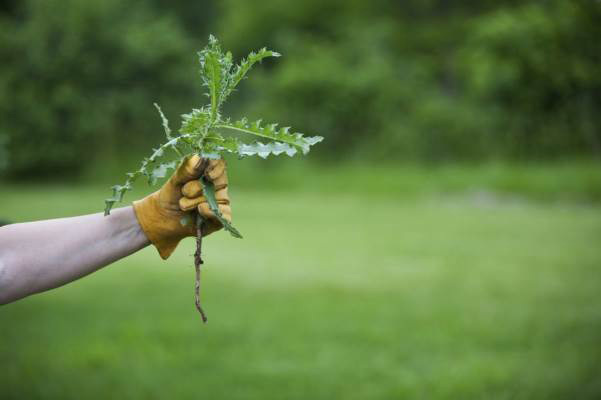 Larger weeds may take three or four applications in order to stop coming back but this is a low cost and hassle free solution worth giving a try. Just be sure to wear adequate protection clothing so that the scolding hot water doesn’t splash back onto your feet, legs and/or hands. Some people have actually seen this method work better than the vinegar method, give it a shot! Weeds need light and a warm soil bed to thrive. 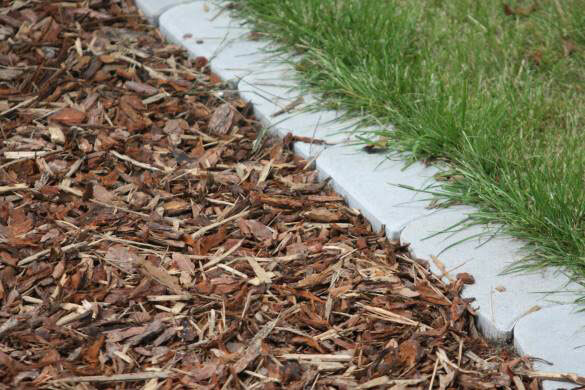 Mulch can be used to prevent weeds as they don’t have enough power to push all the way through the mulch/ If you have existing weeds be sure to remove them before applying mulch. Once it comes time to apply, spread a 3 inch thick layer of mulch to the areas needed to prevent weed seeds from germinating. 3 inches is usually enough to keep weed roots from sprouting. Mulch doesn’t just assist with weed growth, it prevents the soil from drying out and can reduce watering requirements by about 50%. Is there anything vinegar can’t do! Add ‘kill weeds’ to the impressive list of uses for household vinegar. Vinegar is cheap, readily available at your local supermarket and is all natural. 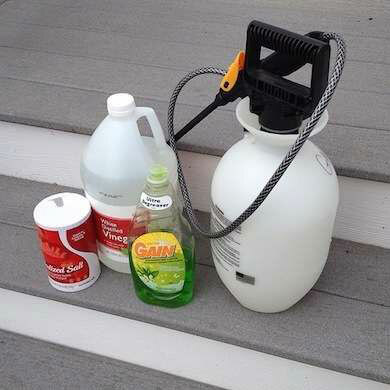 Sounds like the perfect product for killing weeds but there are a few things you need to keep in mind. 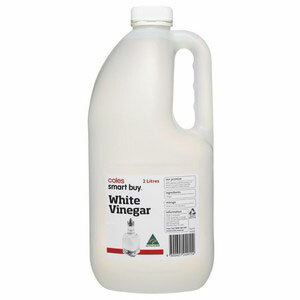 The main active ingredient in vinegar is acetic acid, usually around 5%. The ingredient comes via the fermentation process when it is derived from grain or apples. Acetic acid is a terrific weed killer but it is also a terrific plant killer! Acetic acid works by drawing all of the moisture out of the weed or plant leaf. It is quick to work and it would be common to see a weed or plant brown up after only a few hours of having vinegar applied to its leaves in the full sun. Just be careful though, vinegar may kill any weed or plant it touches. Spray it carefully on weeds only (ensuring none hits your plants) with a spray bottle or pump sprayer when there is no wind. This method can be used over the top of existing weeds to save removing them with other methods. Cover and smother existing weeds with old newspapers. 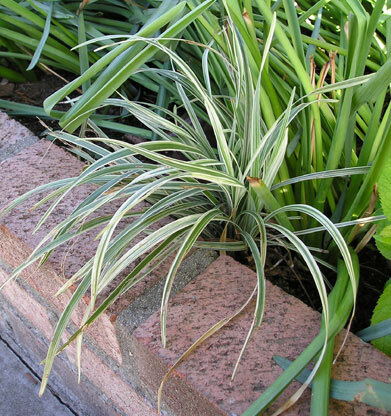 A somewhat thick layer of newspaper will prevent sunlight from hitting the weeds, stopping them from sprouting. To apply the newspaper, moisten the soil first before applying the layer of newspaper. 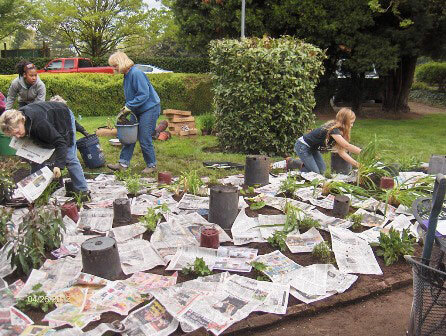 Once laid, spray the newspaper thoroughly before applying a layer of mulch over the top to hide the ugly newspaper. Don’t be surprised to see some earth worms calling your garden home after you apply the newspaper too. Head to your kitchen cupboard, grab your regular table salt and apply a pinch to the base of any weeds you would like to see gone. No need to water it in, let the rain do that over time. As with some of the other methods already mentioned here, salt isn’t selective, it will kill everything it touches so avoid spilling it on your plants and/or grass areas. Remember that once it dilutes in the rain it may spread a little too. Lastly, proceed with caution if using salt on paved areas as repeated uses may cause some damage to your pavers. Here is a good option that won’t stain and can be used on driveways, walkways, patios, gravel etc.. It work relatively quickly and is also suitable for gardens and other landscaped areas. This one is a little sneaky as it is two thirds natural, one third dishwashing detergent (we figured dishwashing detergent is still much safer than the chemicals in most weed killing products on the market). To make some herbicidal soap for use around your house simply mix equal parts of dishwashing detergent, vinegar and salt, stir it together and spray on affected areas as needed. The dishwashing detergent (or dish soap as it is also known) allows the mixture to cling to the plants. Don’t have any salt? No worries, you can also use gin! Again, be careful not to get any on your plants, this is another non-selective killer. There is no doubt it takes more time and can be tiring but pulling weeds out by hand can help with avoiding the transfer of seeds to elsewhere within your garden. You can find a good pair of gloves and a garden claw or sharp trowel at your local hardware store. Get nice and deep into the soil to retrieve the weed completing by its root to prevent it from growing back. That is it! You now know of the 9 easiest and most natural ways to kill weeds around your home. Give them a go and see which one works best for you. We hope you have enjoyed reading the list and that it proves beneficial for you.